I love visiting London especially at this time of year with all the Christmas lights and decorations it feels truly magical. You don't have to spend a lot (in fact some of these are perfect activities if you're trying to stay away from the shops!) 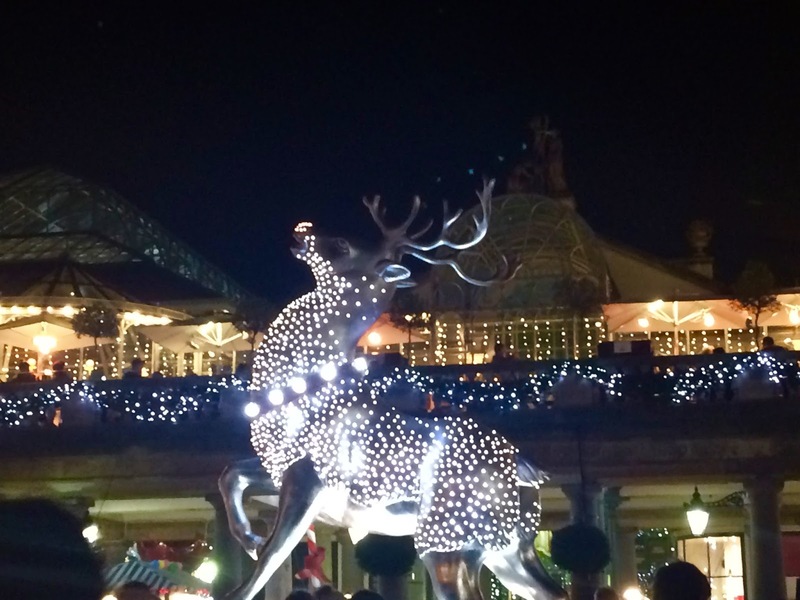 to have a great day out and indulge in some of the Christmas festivities the capital has to offer. I love going to see the Christmas lights ( I haven't made it to the switch on.. yet!) 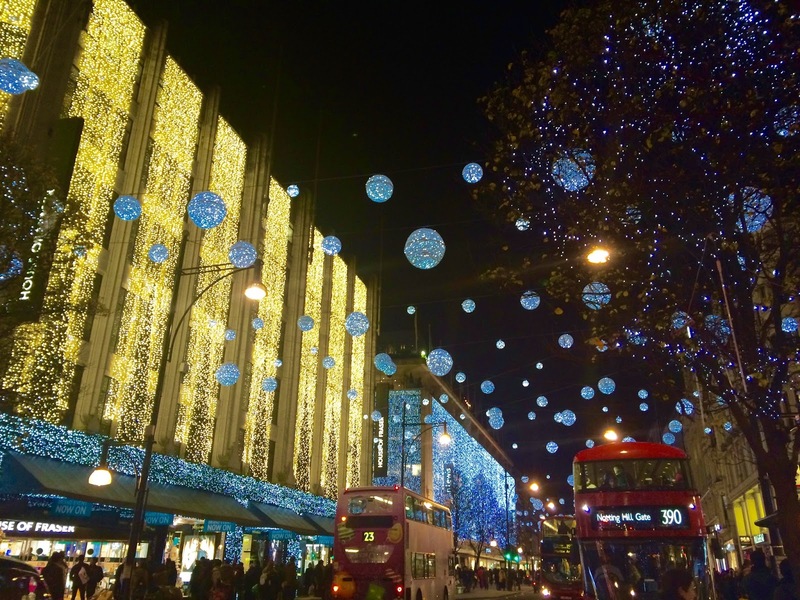 Catch the tube to Oxford Circus and walk along Oxford Street, Bond Street, Regent Street and then into Carnaby Street to see the light displays. There's a different theme each year and I can't wait to see them this weekend. 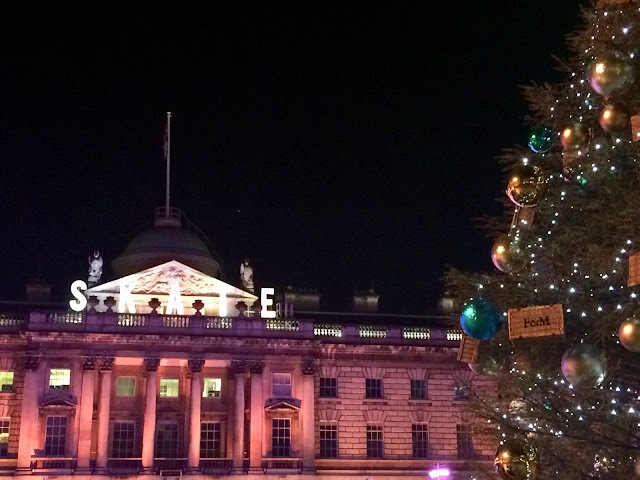 There's Christmas Markets popping up across London but my favourite (and sometimes what feels like the busiest!) to visit has to be the traditional style market along the Southbank. You can pick up a mulled wine to keep warm whilst you stroll along the riverbank looking at the range of stalls housed in little wooden chalets. It's a great place to buy food gifts for Christmas including cheeses and some delicious looking Gingerbread! The market runs until Christmas Eve. Somerset House hosts an outdoor ice rink until 10th January. It looks like something out of a Christmas film when it lights up in the evenings and is lovely to visit even if you're not a keen ice skater (I could fall over without the added ice!) If you're looking for some Apres-Skate you can indulge with a range of treats at Fortnum's Lodge or grab a festive cocktail at the Skate Lounge whilst watching the action on the rink. 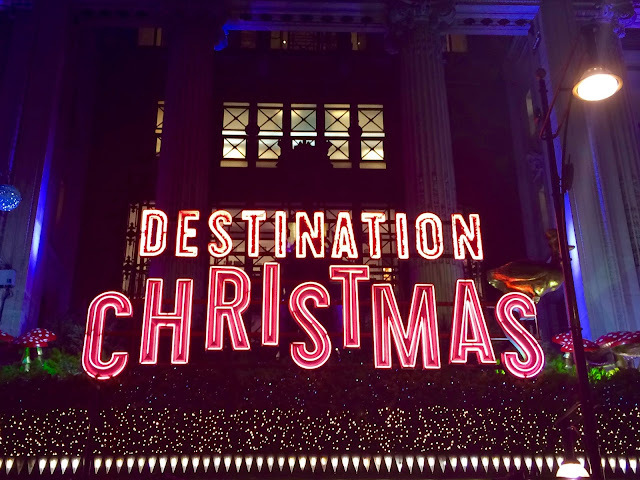 Another great free activity is to take a trip to see some of the famous department stores Christmas window displays. I try to go to Selfridges, John Lewis and House of Fraser on Oxford Street before calling in at Liberty which looks extra special at this time of year. Don't forget to visit Fortnum & Mason and Harrods too for more dazzling displays. Covent Garden is one of my favourite places in London (once you're through the gauntlet outside the tube station!) It's a great place to shop and relax with lots of great bars and restaurants to choose from. I always make sure to go and see the giant tree, it looks so pretty especially when dark falls and it lights up the piazza. I love the decorations they have throughout the market and I can't wait to see this years! What's your favourite thing to do in London at Christmas?